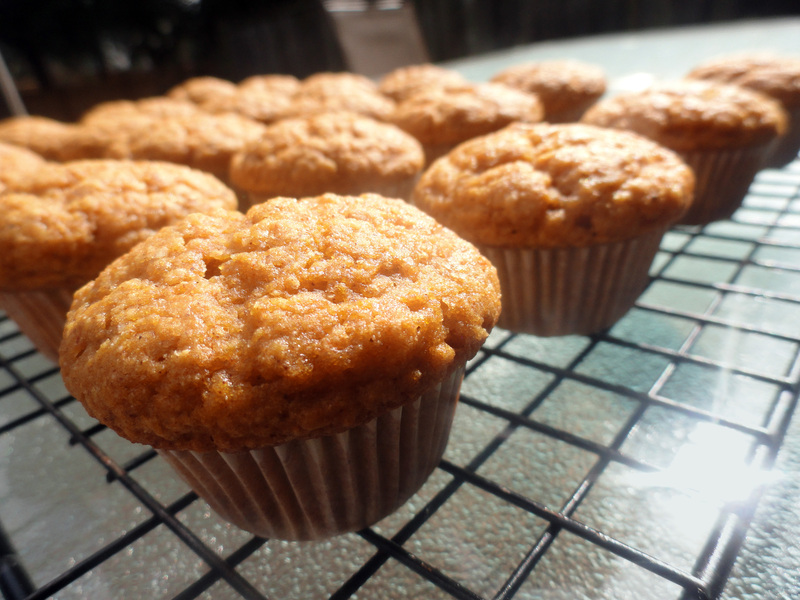 Preheat oven to 400 degrees F. Lightly grease a 24-cup mini muffin tin or a 12-cup muffin tin, or use paper liners. Combine flour, sugar, baking powder, salt, and spices in a large bowl. In a 2-cup liquid measuring cup, whisk together pumpkin, almond milk, melted coconut oil, applesauce, and molasses. Gently fold wet ingredients into the flour mixture and stir until just combined. Fill muffin tins almost to the top. With mini-muffin tins, you can fill them all the way to the top, with regular muffin tins, fill them about 3/4 of the way full. Bake 10-12 minutes for mini muffins, 18-20 minutes for full-size muffins. Allow to cool in the pans for 5 minutes before transferring to a cooling rack.